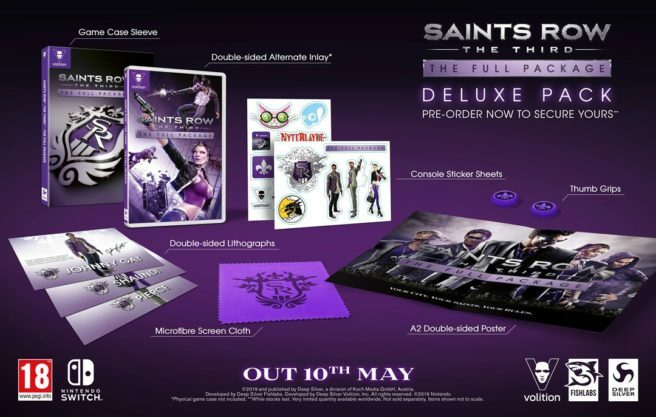 This past weekend, a Saints Row: The Third – The Full Package Deluxe Pack was spotted at UK retailer GAME. Deep Silver has now announced the same package for North America, albeit with a caveat. The only place that will carry the Deluxe Pack is GameStop. You can pre-order Saints Row: The Third – The Full Package Deluxe Pack on GameStop here.